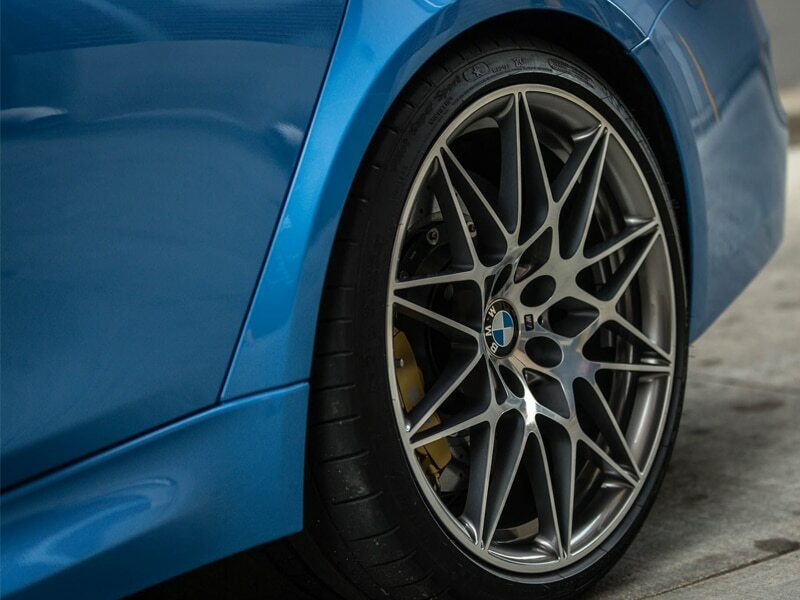 The BMW M3 is a high-performance version of the BMW 3 Series, developed by BMW’s in-house motorsport division, BMW M GmbH. M3 models have been derived from the E30, E36, E46, E90/E92/E93 and F80. The initial model was a coupe body style. At times the M3 has also been available in saloon and convertible body styles. 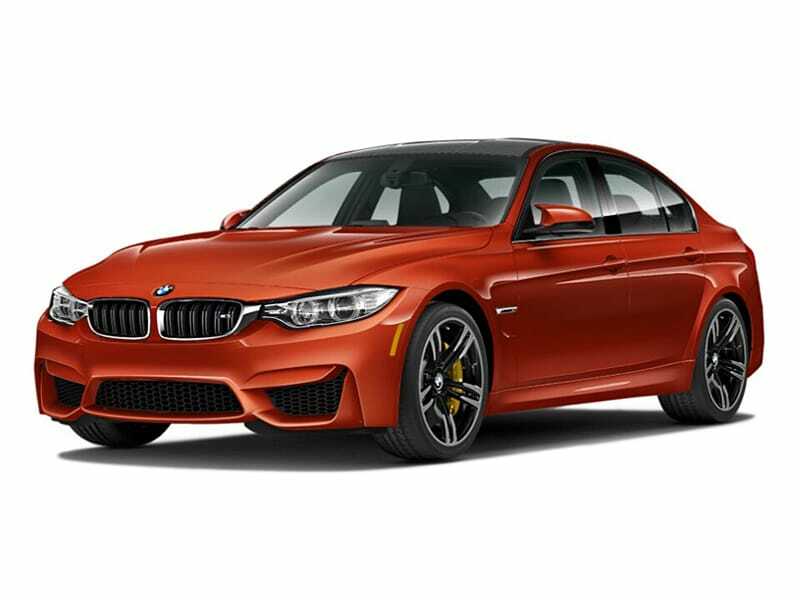 Due to the 4 Series coupe and convertible models no longer being part of the 3 Series range from 2015, the F82/F83 coupe and convertible models are now called the M4. The M3 name remains in use solely for the saloon version. 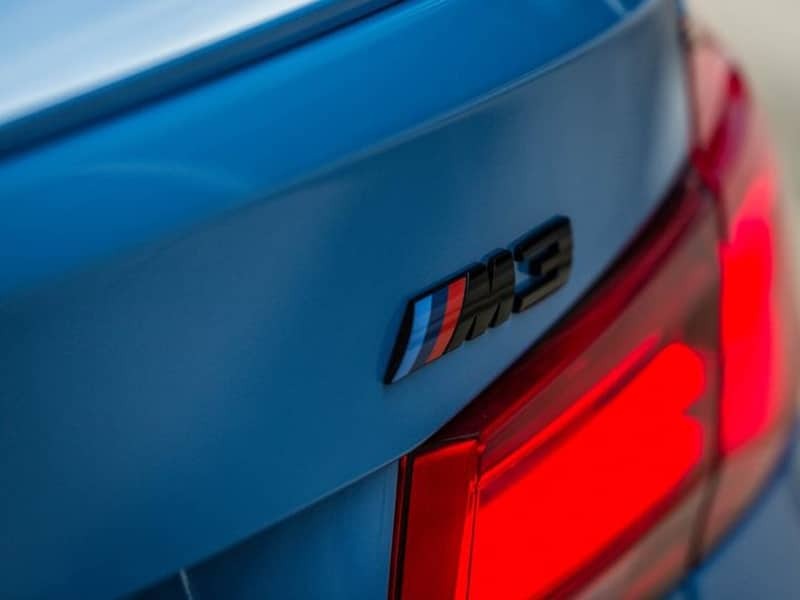 Upgrades over the “standard” 3 Series automobiles include more powerful and responsive engines, improved handling/suspension/braking systems, aerodynamic body enhancements, lightweight components, and interior/exterior accents with the tri-colour “M” (Motorsport) emblem. The fourth generation BMW M3 was announced on the 2007 Geneva Motor Show (Switzerland, 6–18 March 2007) with the BMW M3 concept. As was the case with the E46 M3 Concept and E60 M5 Concept, the M3 Concept had almost no differences from the looks of the production version, that had its world premiere on the 2007 Frankfurt Motor Show IAA (Germany, 12 to 23 September). It was originally set to be called M4 along with 3 Series coupes and convertibles that were to become the 4 Series, but due to the interest in retaining the M3 line, as well as the plan for a separate 4 series line, this change was scrapped. Similar to the previous M3 generations that introduced a new engine, the fourth generation M3 did the same: the BMW S65 V8 engine. The engine produces 414 bhp (309 kW; 420 PS) at 8300 rpm, with peak torque of 295 lb·ft (400 N·m) at 3900 rpm. A six-speed manual transmission is standard. 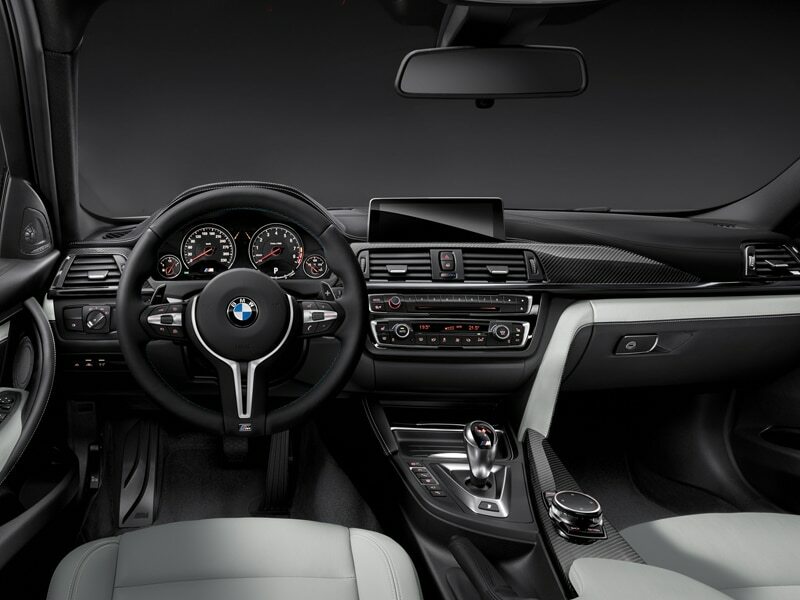 As of April 2008, BMW offers a new seven speed Getrag double-clutch gearbox, called M-DKG (Doppel-Kupplungs-Getriebe) or M-DCT (Double Clutch Transmission) as an option, which reduces shift pauses to less than a tenth of a second and shortens the car’s 0-100 km/h (62 mph) sprint time by 0.2 seconds vs. manual. It features both automatic and manual modes similar to the SMG gearboxes in the E36 and E46, but with more speed and efficiency. The E92 M3 coupe inherited a carbon-fibre roof similar to the one used on the E46 CSL. For 2011, the E92 M3 received a model refresh commonly referred to as a LCI (Life Cycle Impulse) by BMW. Those changes included minor interior trim pieces and LED rear tail-lights. 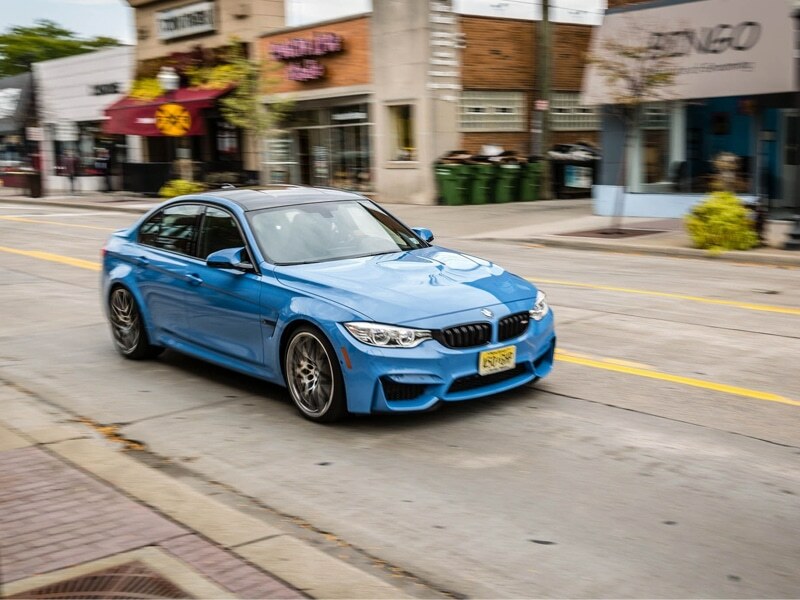 Recent testing by Car and Driver magazine has shown that the 2011 M3 equipped with an M-DCT transmission accelerated from 0–60 mph in 3.9 seconds and went on to record a 12.4-second quarter-mile time. This is almost half a second quicker than 2008–2010 M3 models with the same engine and transmission. The new M3 is again available as a 4-door saloon, based on the E90 3 Series saloon, but unlike the regular saloons the M3 version shares the coupe’s wide and sculpted front end, including headlights. Saloons, however, do not get the coupe’s carbon-fibre roof, and are 22 lb (10 kg) heavier than identically equipped coupes. Although the front-end design of the saloon matches the specific look and high-performance character of the coupé, the side-sills and rear diffuser are tailored for the saloon. The M3 saloon is powered by the same engine as the other two versions. In 2008, a four-door (E90), six-speed manual transmission M3 accelerated to 60 mph (97 km/h) in 4.3 seconds in a Motor Trend test,matching the performance of the M3 Coupé. The E93 convertible version joined the M3 lineup shortly after the E92’s launch, and is based directly on the M3 Coupe. The convertible uses a power retractable hardtop which adds 441 lb (200 kg) to the weight of the car, bringing the total to 1,810 kg (3,990 lb) with a negative impact on the convertible’s overall performance. The convertible features a special leather surface for the seats that reflects sunlight. This reduces the tendency of the seats to become uncomfortably hot with the top down. When considering which luxury car marque to hire BMW is often one of the first names that comes to mind.365 luxury car hire are very proud to be able to offer some of the most sought after BMWs for hire right across Europe.Perhaps a BMW M3 Rental will give you that sporty thrill or you could Hire a BMW M6, the M3s bigger brother. For the sheer fun factor a BMW Z4 rental is guaranteed to make your next trip away enjoyable.Bavarian Motor WorksFounded in 1916 in Bavaria, BMW has almost 100 years of prestige automotive excellence to offer and this can be seen in every single car they make. Aside from being a mark of quality BMW are one of the larger luxury car brand manufacturers in the world.